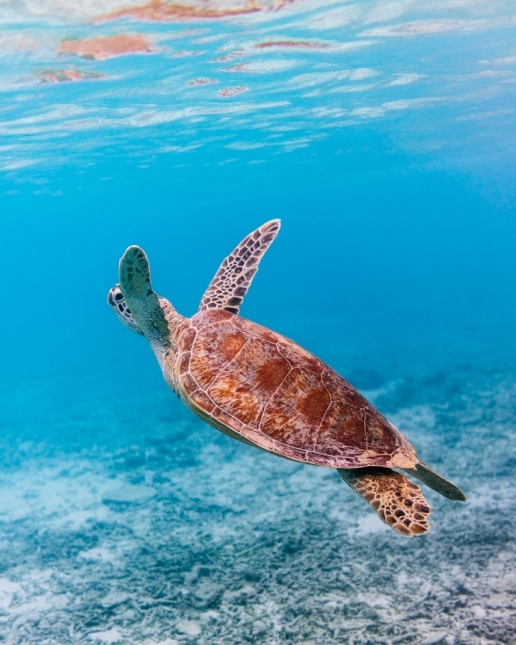 Morning greetings from local sea turtles, and secret beaches which will take your breath away. 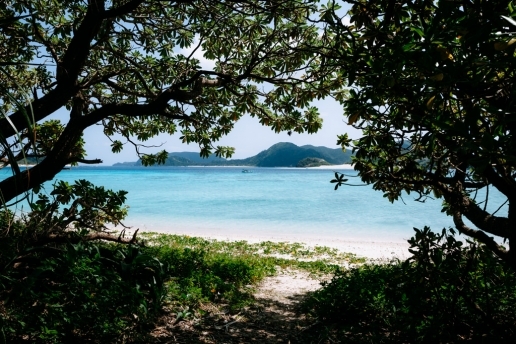 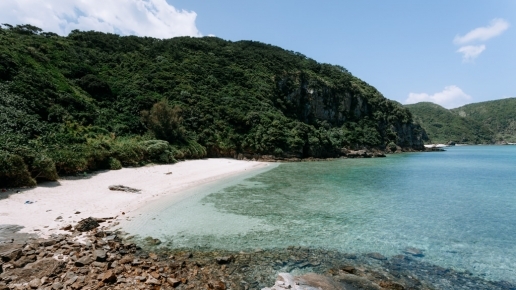 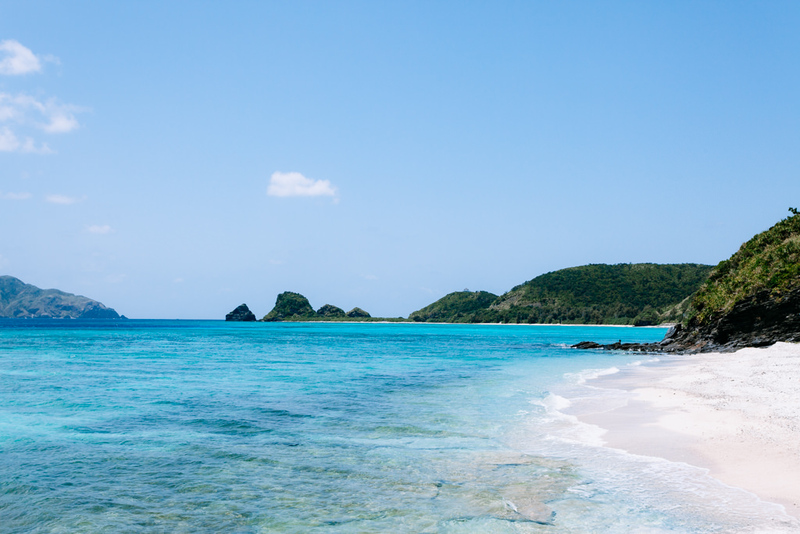 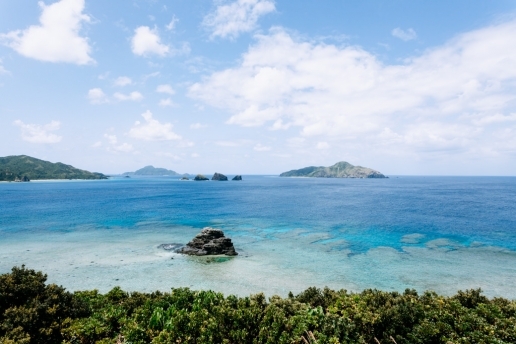 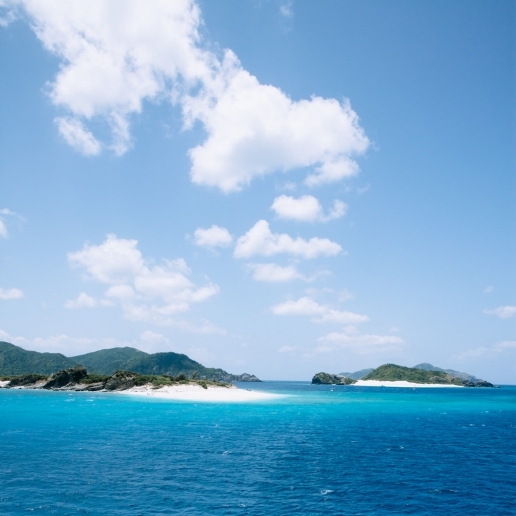 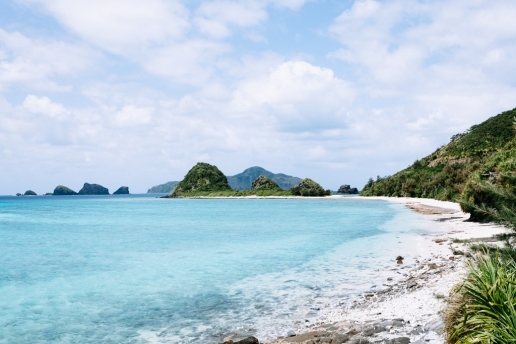 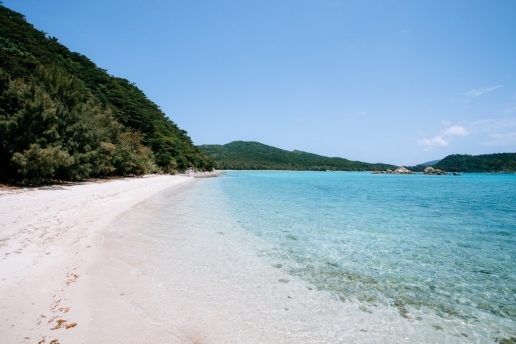 Zamami is a small, hilly island packed full of natural and easily-accessible beauty. 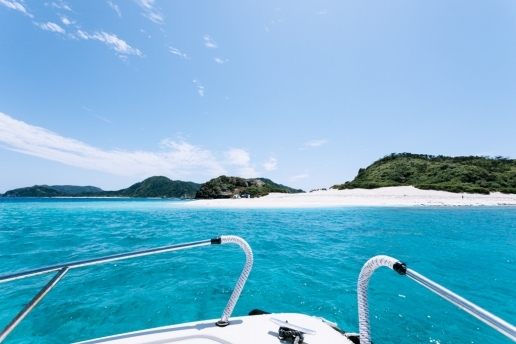 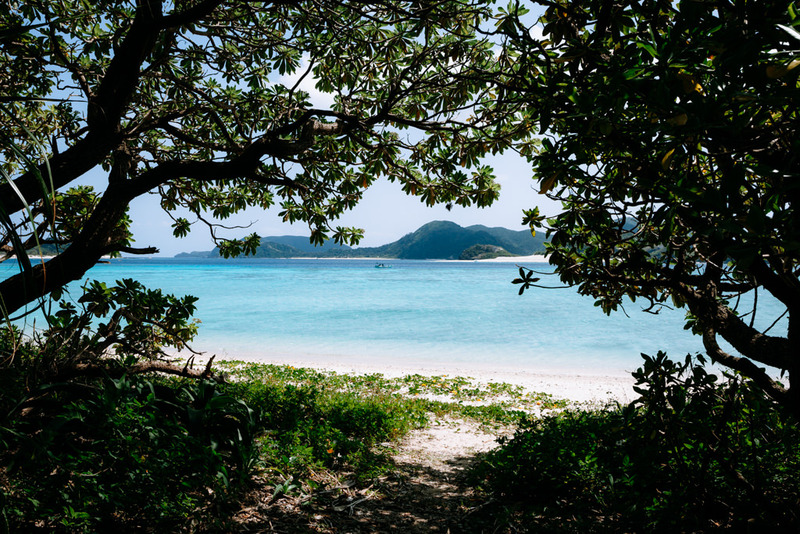 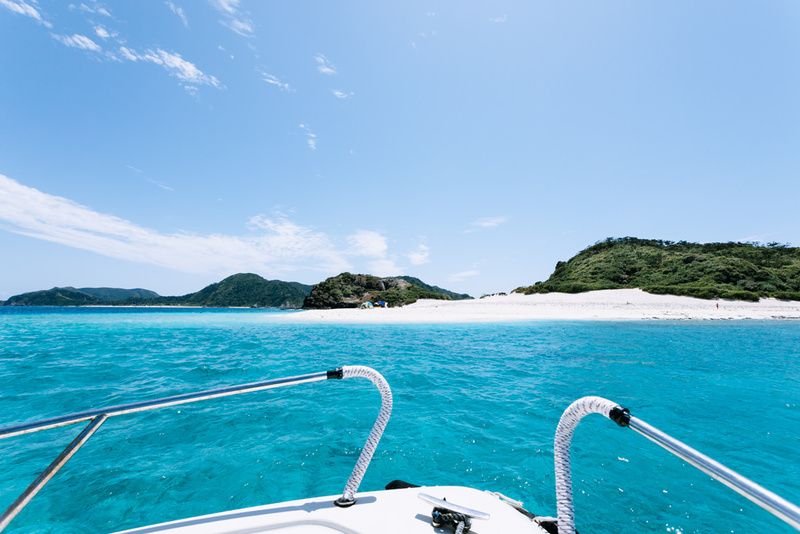 Around Zamami, there are several paradisical deserted islands (we’d recommend Gahi Island) which are great for a half-day or day-trip by taxi boat (10 mins). 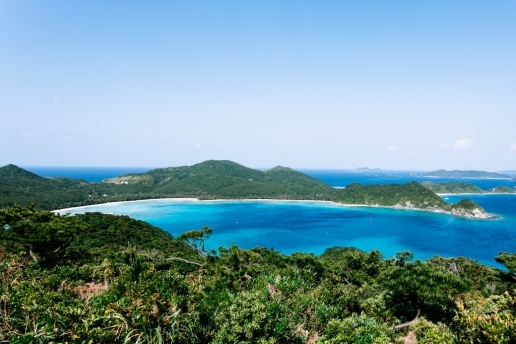 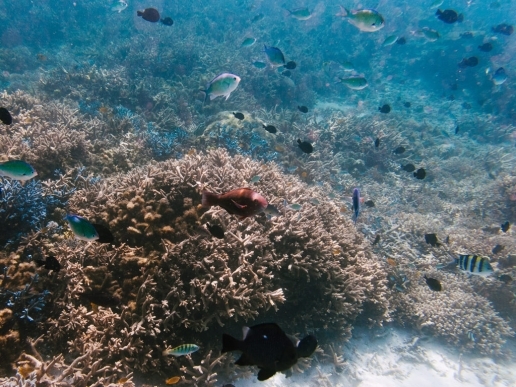 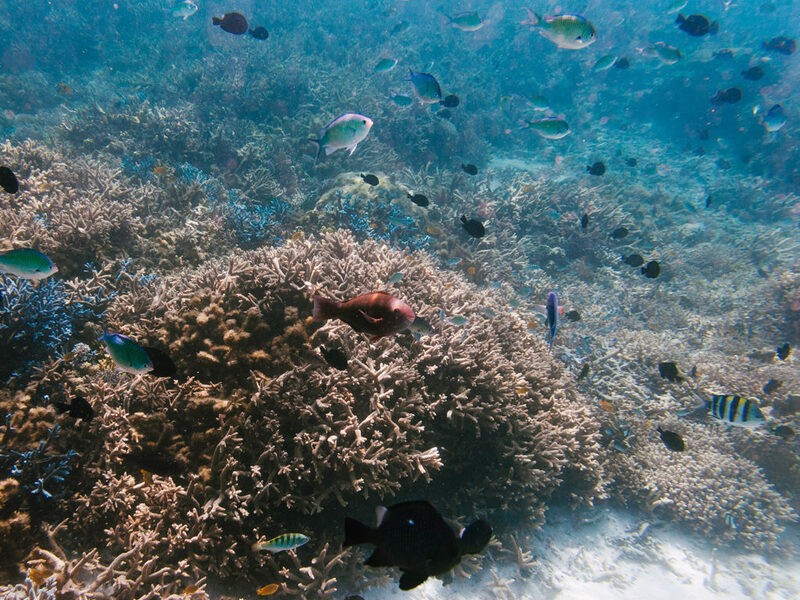 The Kerama Island group is known for some of the world’s clearest waters 50-60m visibility. 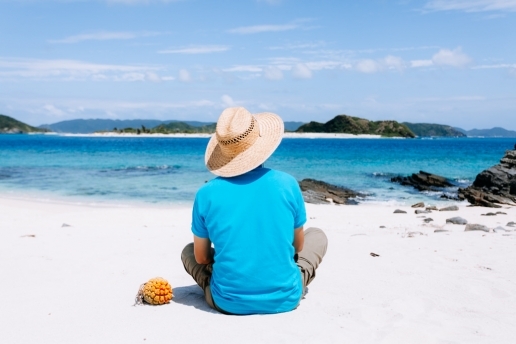 If you simply want to enjoy beaches and snorkeling or scuba diving, rather than jungle trekking or mangrove river kayaking, the Kerama Islands are highly recommended. The beaches on these islands are very beautiful but beach-entry snorkeling is not the best since a lot of coral were damaged by El Niño in 2007, although they have started to recover recently. 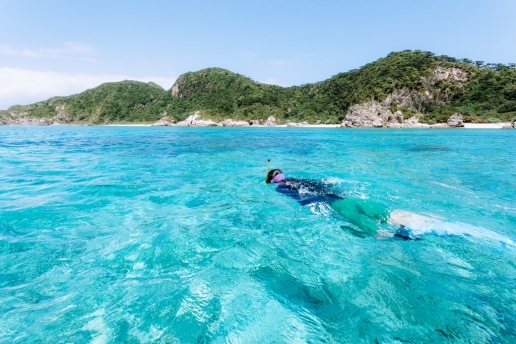 However, if you can swim to the outer reef or go snorkeling or scuba diving from a boat, you can have a great experience (however, not as great as you would in the Yaeyama Islands and the Miyako Islands). 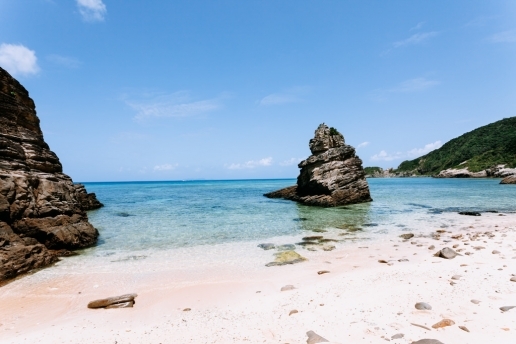 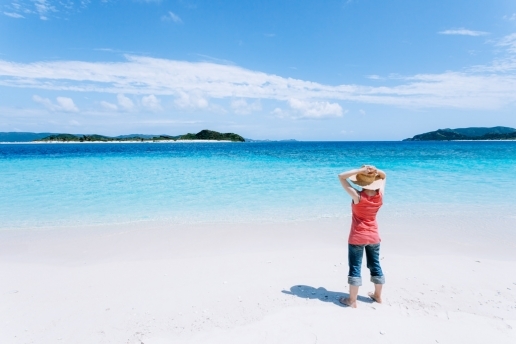 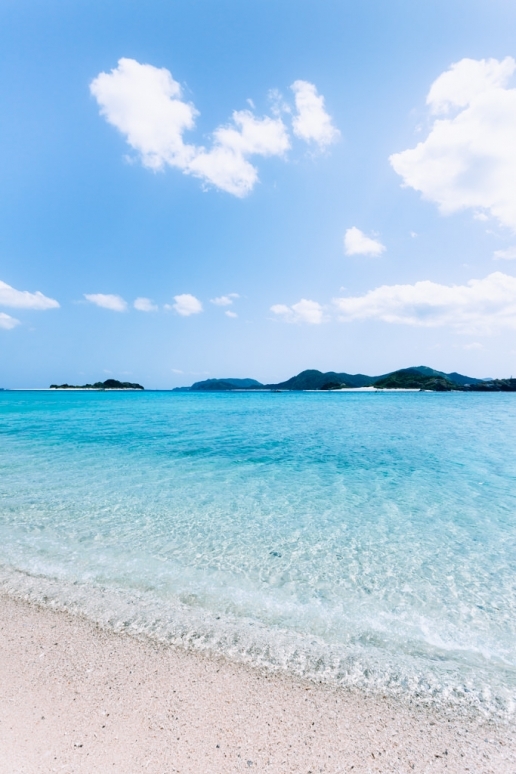 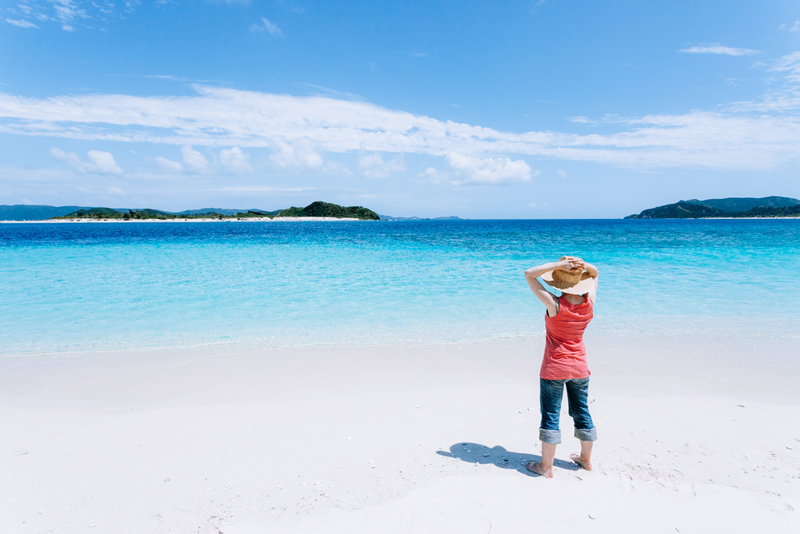 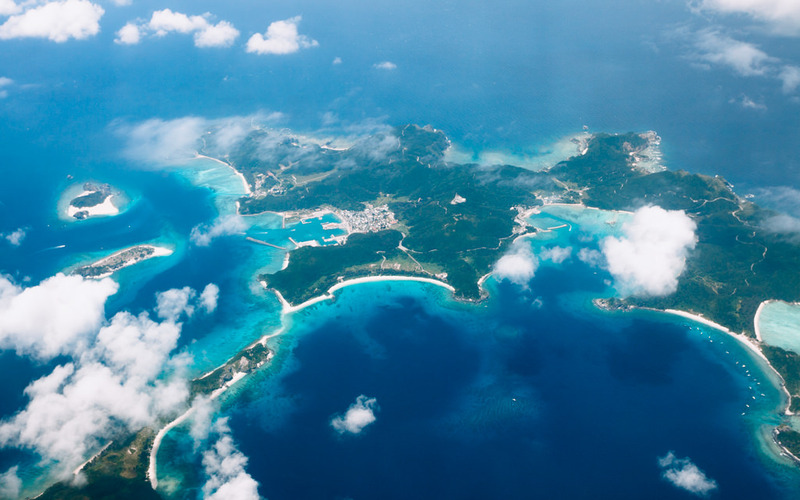 The Kerama Islands are easily accessible by ferry from Okinawa Main Island (Tomarin Port) in 30 mins to 2 hours depending on your destination island and the type of ferry. If you want to have a car-free holiday, these islands are perfect as each of these islands is small enough to explore by bicycle.